The Dalai Lama’s activities a widely spent giving public talks to non-Buddhist audiences and teaching Buddhism to large public audiences all over the world, as well as to private groups at his residence in India. Despite turning eighty in 2015 he maintains a busy schedule teaching and giving lectures all over the world. His public talks and teachings are usually webcast live in multiple languages, on the Dalai Lama’s own website. 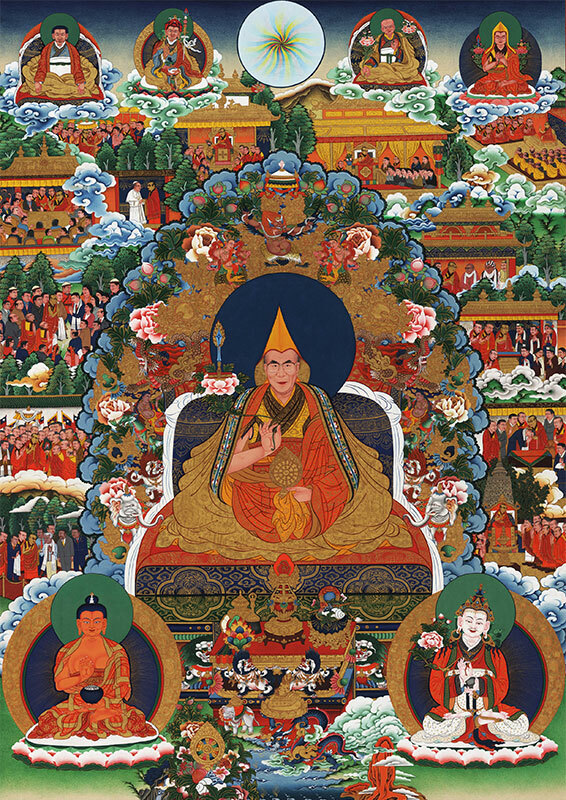 The Dalai Lama’s best known teaching is the Kalachakra tantra initiation which, as of 2014, he had conferred a total of 33 times, most often in Bodh Gaya and India’s upper Himalayan regions but also in western venues like Madison Square Garden in New York, Los Angeles, and in many countries in Europe, Asia and in Australia. The Dalai Lama met many religious leaders. In 2006, he met Pope Benedict XVI the Archbishop of Canterbury, Dr. Robert Runcie, and other leaders of the Anglican Church in London, Gordon B. Hinckley, who at the time was the president of The Church of Jesus Christ of Latter-day Saints (Mormons), as well as senior Eastern Orthodox Church, Muslim, Hindu, Jewish, and Sikh officials. The Dalai Lama is also currently a member of the Board of World Religious Leaders as part of The Elijah Interfaith Institute. He has also participated in the Third Meeting of the Board of World Religious Leaders in Amritsar, India, on 26 November 2007 to discuss the topic of Love and Forgiveness.